"This was far and away the very best conference MAFSI has ever done, period. I have no words. I was blown away." If you remember that old Maxell commercial from the 80's - you know - that one with the guy sitting in a chair being, quite literally, blown away by his speaker; you'll start to get a picture of what our 2018 conference was like. At MAFSI's 49th Conference: Compete in HD, 675 attendees comprised of 342 manufacturers' reps, 228 manufacturers, and 100+ allied partners, spouses, guests, exhibitors and speakers all convened at the Naples Grande Resort ready and eager to get a bigger, clearer picture of everything that's happening, or is about to happen, in foodservice. And what a picture they saw. Themed "Compete in HD" this year's conference was about seeing and recognizing the details, and the bigger picture. And making sense of it. It was about seeing the tools, resources, trends, and tactics that are shaping the industry right now - and those that will shape the future. They heard from great presenters like Mark Scharenbroich, a Emmy award-winning, hall of fame speaker. Attendees heard his unique perspective on building a culture of human connections, and personal growth. He spoke about the unique details of building relationships through connections, and how they build on one another to create a real culture of development, and meaningful growth -- all in an increasingly virtual world. In our on-demand world, we also welcome Colin Puckett of Amazon Business. To a captivated audience, he talked about the company's vision of being completely customer-centric, it's never-ending innovation, and subsequent impact on the commercial foodservice industry. On the economic front, they also listened with awe to people like Alan Beaulieu, of ITR Economics. This leading economist spoke about the economic impact of recent political policy changes, and how MAFSI members can brace for, and prepare for, the major economic shifts he predicts will come over the next few years. He shared specific insights and forecasts for foodservice markets served by reps and manufacturers, and gave real life tactical tips to help members prepare for the way forward. For a complete list of MAFSI's 2018 Board of Directors and Executive Committee, please CLICK HERE. The MAFSI Board of Directors serves to help push our industry forward, all while hearing and advocating on behalf of those that matter most - our members. But knowing who our Board members are is half the battle. If you don’t know who to talk to, you can share your thoughts, concerns, and ideas. To make sure our 2018 attendees could easily spot a Board member, all 25 members donned the now infamous green blazer. They were easy to spot in the crowd, and many folks came up to share their thoughts, compliment the conference – or simply introduce themselves. Representing a great deal of our individual regions, our board is a culmination of the unique perspectives all of our members bring. And moreover, they’re here to listen to YOUR issues, and YOUR challenges. They’re your voice to the tactical and strategic direction of our association, and they want to hear what you have to say. Additionally, if you’re interested in becoming involved with The Board, or with one of our many committees, please feel free to let us know. Our volunteer members are the backbone of the great things we do, and we can never have too much help. 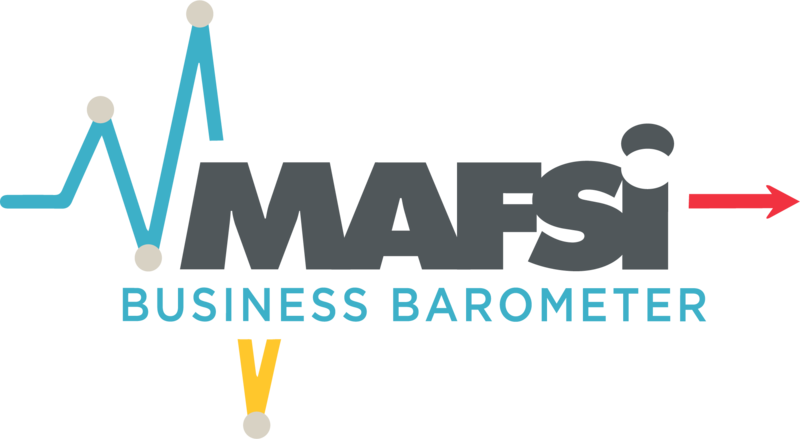 For a complete list of MAFSI’s 2018 Board of Directors and Executive Committee, please CLICK HERE. In Naples this year, 570 members from 154 rep firms and 124 different factory brands were represented at this year's event which means that over 50% of MAFSI member companies chose to start off their new year at the MAFSI conference. Their attendance demonstrates a commitment to our industry, their fellow manufacturers and reps, and conveys to all channel partners they are proud to be a rep, and proud of the way they go to market. Rep Member 2018 Conference Attendee Demographics: This year’s conference attracted 342 reps from 154 rep agencies. Of the 342 attendees, 207 were rep firm principals, 113 were rep firm outside sales staff, and 22 were rep firm inside personnel. Manufacturer Member 2018 Conference Attendee Demographics: The MAFSI Conference attracted 228 manufacturer attendees from different 124 factory brands. Of the 228, 119 were executive level management (President, V.P., CFO, Director), 88 were Field Level Management (National and Regional Managers) and 21 were Customer Service Managers. Our 2018 Conference Chairs did a truly, truly outstanding job. They could not have put together a better educational program, and their feedback on speakers, logistics, food - you name it - was truly invaluable. We not only appreciate their input, and Oscar-worthy acting skills, but their very hard work (and manual labor) in making this conference the best one yet! We can truly never thank them enough. 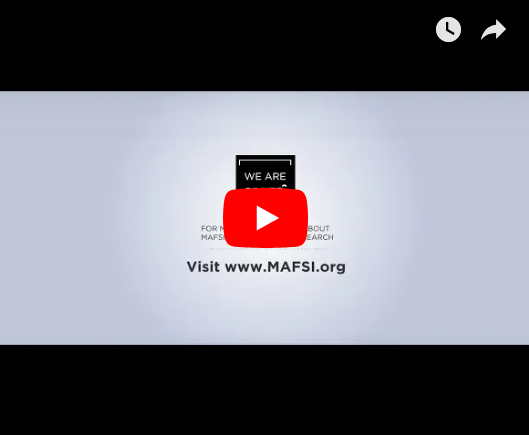 On January 24th, MAFSI held its Manufacturer-Only Forum (previously known as the Sales Management Forum); a completely unique educational tract addressing the nuanced needs of manufacturers that use independent reps. As we all know, their issues are incredibly specific -- and so was their programming. Aimed at improving relationships between reps and manufacturers, this forum consisted of three comprehensive tracks for 228 Factory Executives, Field Level Managers, and Customer Service Personnel. Each manufacturer-only breakout and roundtable provided an innovative setting for sharing ideas, solving problems, and addressing and improving the partnership of manufacturers and reps. All while networking and connecting with fellow foodservice peers that understand the issues manufacturers face. 2018 Manufacturer Chairs: Greg Baggott, CRES-COR, Rachel Keith, Victory Refrigeration, and John Perruccio, Southbend, all lauded the programming. "This year's manufacturer-only breakouts and roundtables drilled right down to the specifics, all while helping us see the bigger picture. We learned tangible, empirical, steps we can take to improve our day-to-day relationships with our reps and improve our entire businesses. It's something you just can't get anywhere else." On the same day, over 340 reps attended our third annual rep-only forum (previously known as Repnology) dedicated to programming specifically tailored to the needs of independent manufacturers' reps. The eight roundtables and six breakouts discussed the issues specific to the challenges and opportunities of reps. From customer service, to service calls, to benchmarking, and utilizing the millennial workforce; the hottest topics and the hottest verticals were discussed. All with turnkey solutions, thought provoking dialogue, and a the kind of rep-specific programming you can only get at a MAFSI conference. Our 2018 Rep Chairs: Sandra Hamilton, Agences Hamilton Agencies, Neil Inverso, ONE SOURCE, and Patrick Malloy, Zink Foodservice Group were instrumental in setting the tone of the conference, picking speakers, and doing anything and everything necessary to make the conference a resounding success. Thank you all so much for your hard work! Over the next two days of the conference, our reps, manufactures, allies, and media came out from their respective hives, and became one. Our all-attendee keynotes, breakouts, and roundtables included 40+ industry experts from our own industry, and outside of it. They spoke on issues ranging from the impact of Amazon Business on reps and manufacturers, energy efficiency, to connecting with other people, and the power of personal charisma. The sessions also included eye-opening economic forecasts, protecting your online reputation, and much, much more. On Friday, January 26th, we hosted our biennial Awards Ceremony. During the reception, 19 MAFSI members, one MAFSI chapter, and one non-member were presented with eight awards for their demonstrated leadership, as nominated by their peers. For full details on our 2018 Awards Ceremony, please CLICK HERE. Don't tell anyone, but it wasn't all hard work. From our biennial golf tournament, to our numerous cocktail hours, and our pool party; there was no shortage of fun opportunities to network and catch up with fellow colleagues and friends. Attendees had a blast learning hard, working hard, and playing hard. Special thanks for all the laughs, memories, and good times! We can never thank our sponsors enough. Without you, none of this would've been possible. KCL / Kochman Consultants, Ltd.